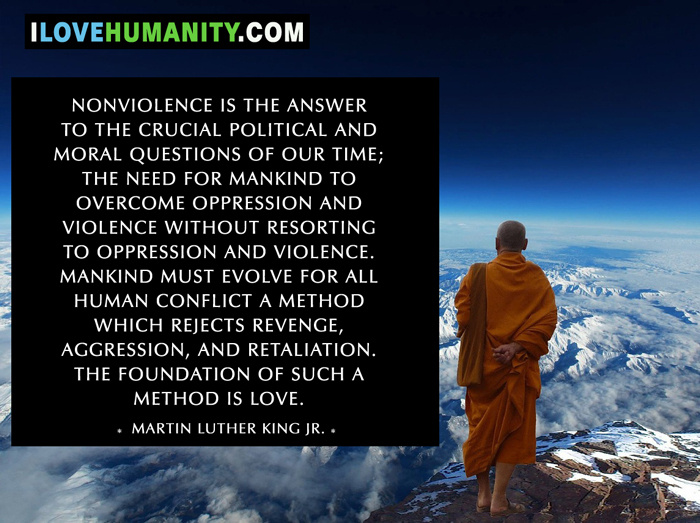 Nonviolence is the answer to the crucial political and moral questions of our time; the need for mankind to overcome oppression and violence without resorting to oppression and violence. 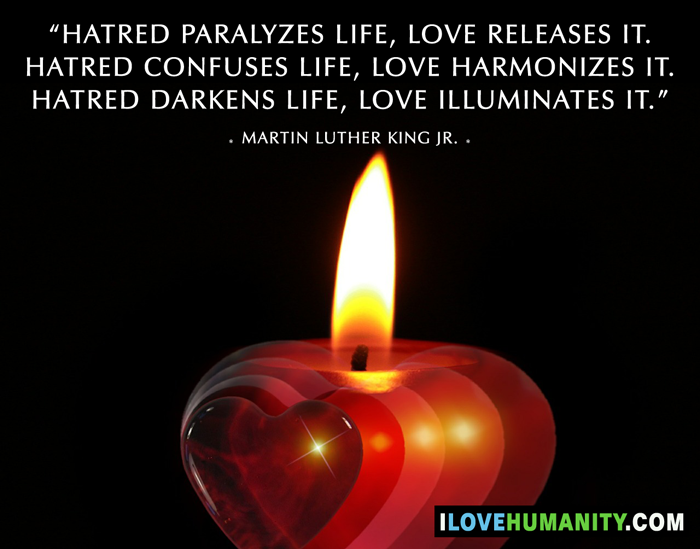 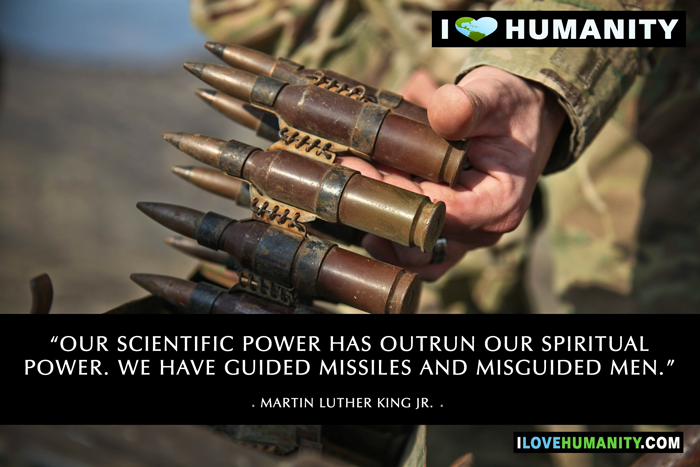 Mankind must evolve for all human conflict a method which rejects revenge, aggression, and retaliation. 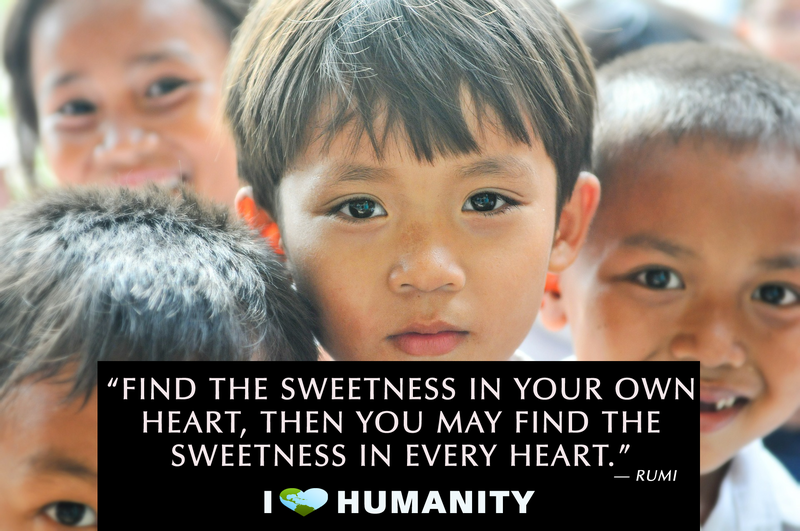 The foundation of such a method is love. 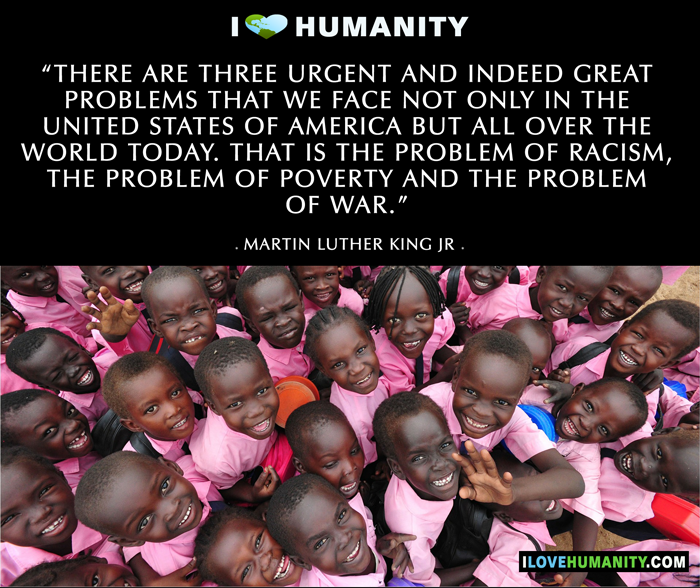 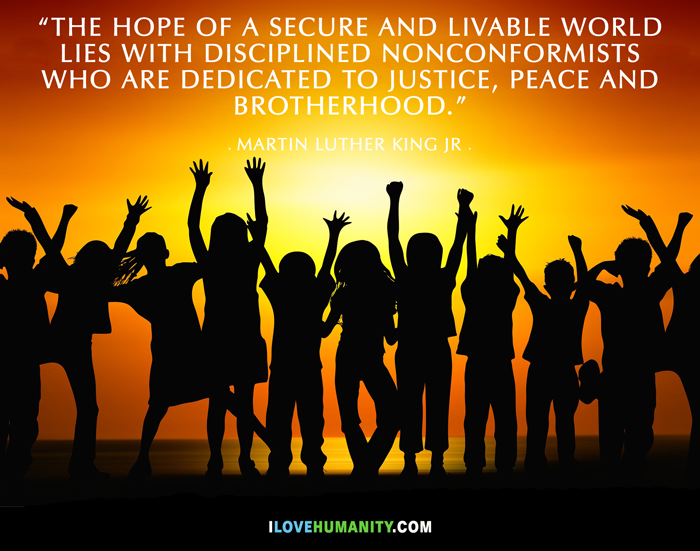 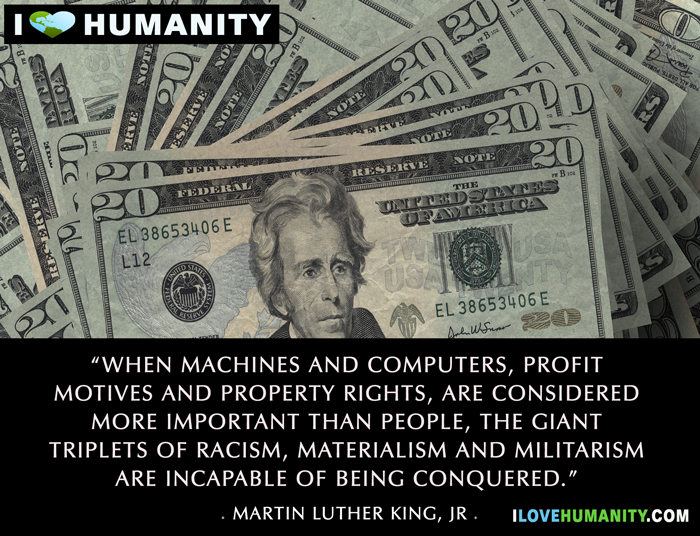 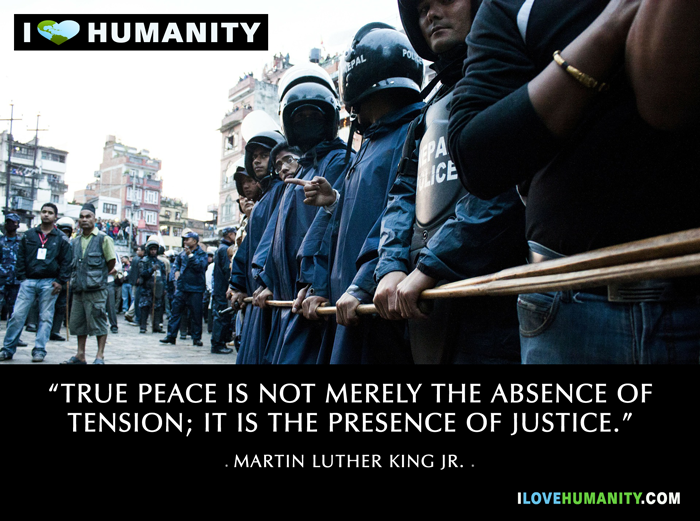 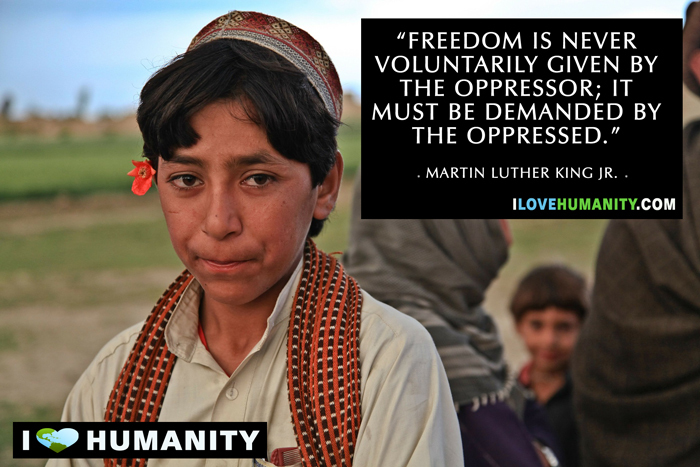 — Martin Luther King Jr.